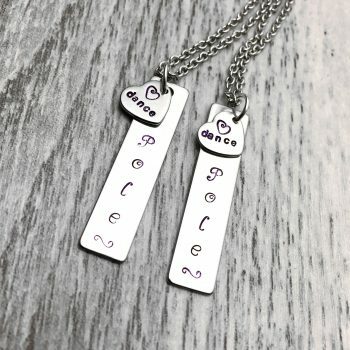 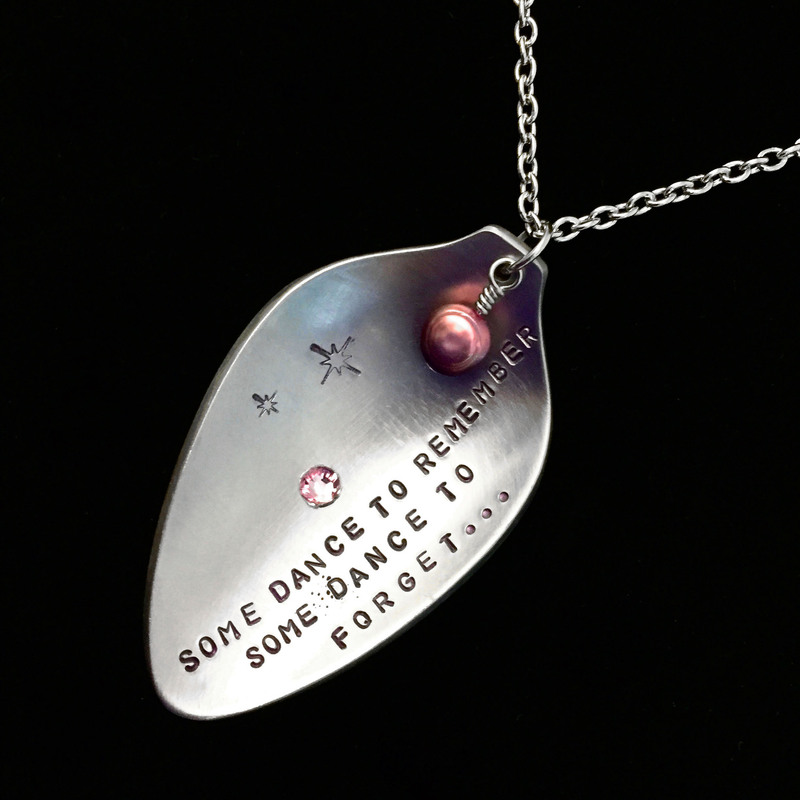 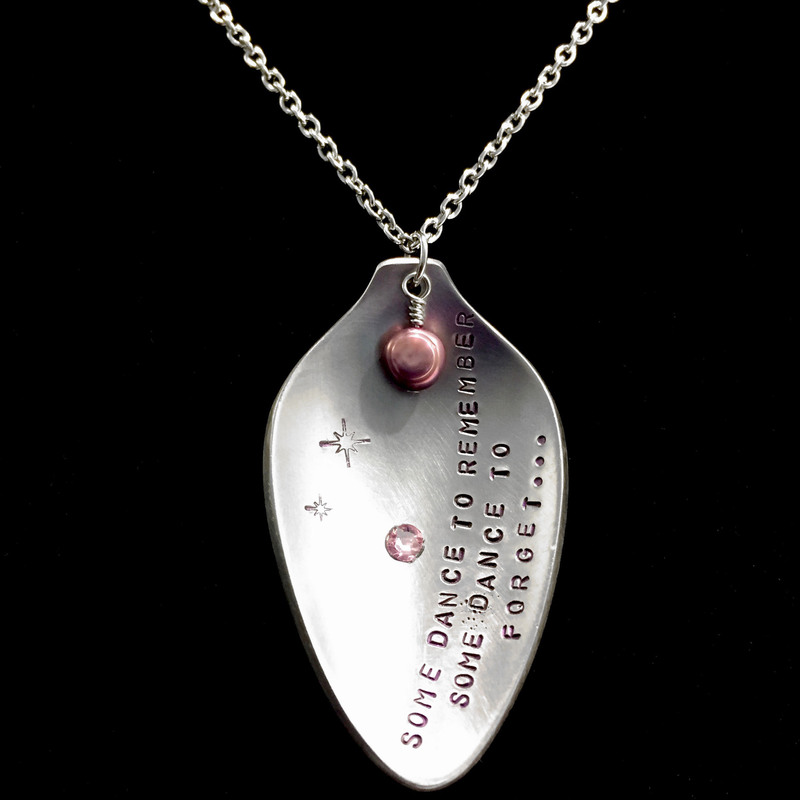 Hand stamped ‘some dance to remember, some dance to forget’ necklace crafted from a vintage spoon, detailed with a Swarovski crystal and a perfect freshwater pearl. 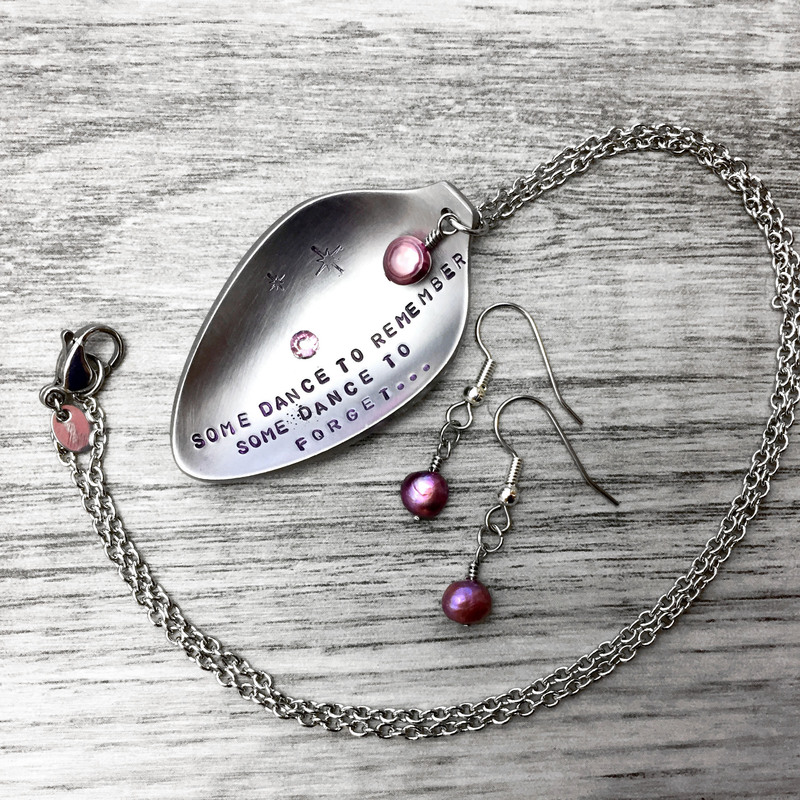 Fitted to 16 inches of durable chain and paired with matching hand-wrapped freshwater pearl earnings. 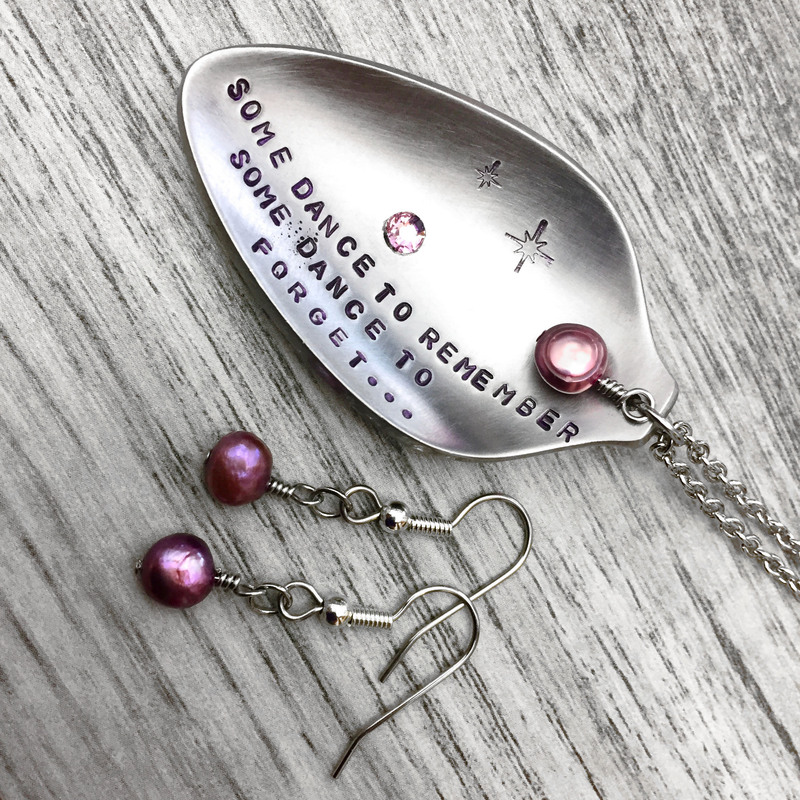 Earring length (in total): 1 1/4 inch.